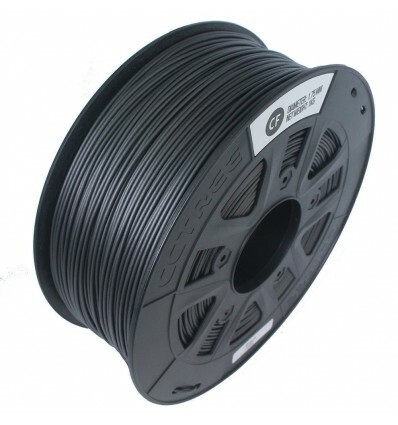 1kg Spool of CCTree Carbon Fibre Reinforced Black 1.75mm PLA Filament – Extremely durable matrixed carbon fibres, extruded with a PLA polymer base. 3D Printing is all about fast fabrication, and allows you to build a variety of different structures, objects and even tools at a rapid pace within your home, office or workshop. However, simple ABS and PLA plastic don’t always offer extreme durability under high stress, which is why hardy materials like carbon fibre are added to the polymers – to make them stronger, more durable, or to give them specific properties necessary for the purpose or task of the printed items. 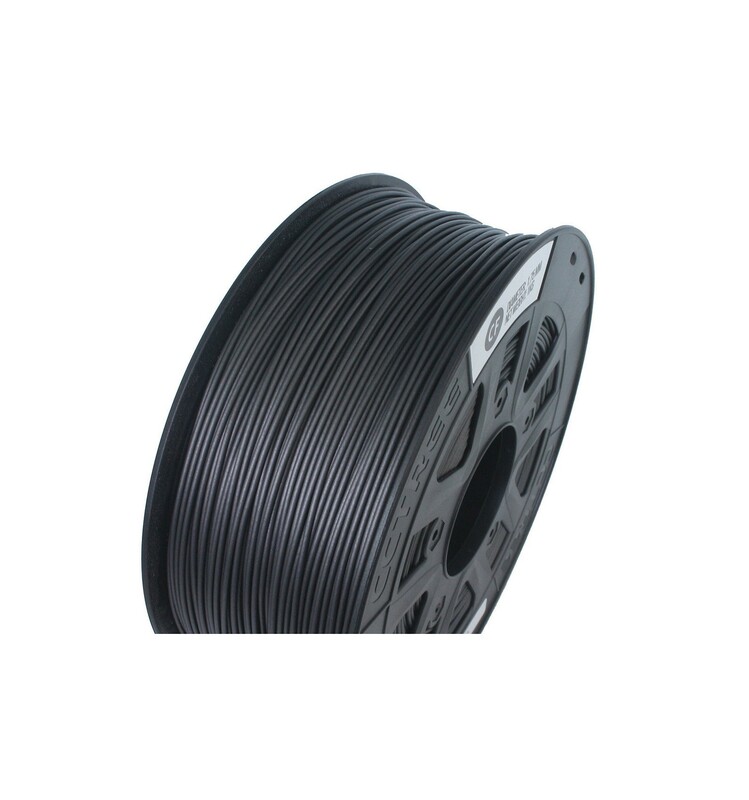 This is what makes our 1kg spools of CCTree Carbon Fibre Reinforced 1.75mm Black PLA Filament so great, as they offer the easy printing properties of PLA Plastic, as well as the extreme durability, hardiness and lightweight properties of the world-renowned material carbon fibre. This is thanks to the way it’s made, with tiny carbon fibres mixed and matrixed into a PLA polymer before extrusion. These small fibres essentially grab hold of the surrounding plastic, in a similar way to how mesh and stones act in cement, to keep it firm and strong while allowing for a small amount of bending and stretching as well. Due to the unique properties of carbon fibre, these spools of CCTree Carbon Fibre Reinforced Filament are most often used for printing parts, objects, structures and tools that need to withstand high levels of tension, compression or impact. 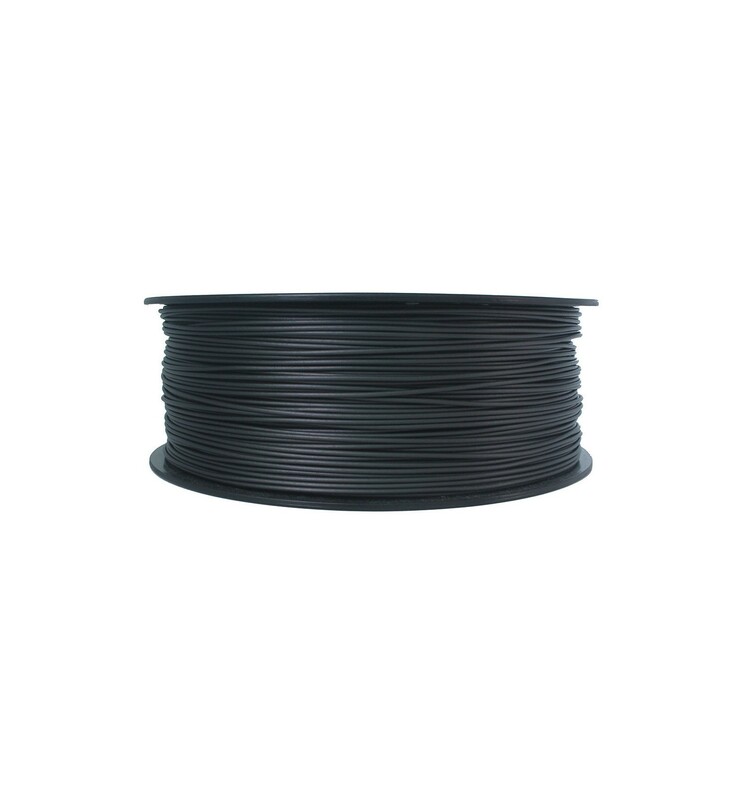 As such, many Makers choose this filament to make their tools, since tools are very often exposed to such stresses. Some Makers also utilise this filament for parts that need to impact into each other within machines. So, if you need to print objects that will be exposed to intense stresses or impacts, while being lightweight, reinforced carbon fibre filament is the ideal choice for the job – even when compared to other Exotic Filaments. Layer adhesion is poor needed to print at over 230 degrees to get good results. On a genuine Prusa MK3 with a Micro Swiss hardened nozzle. 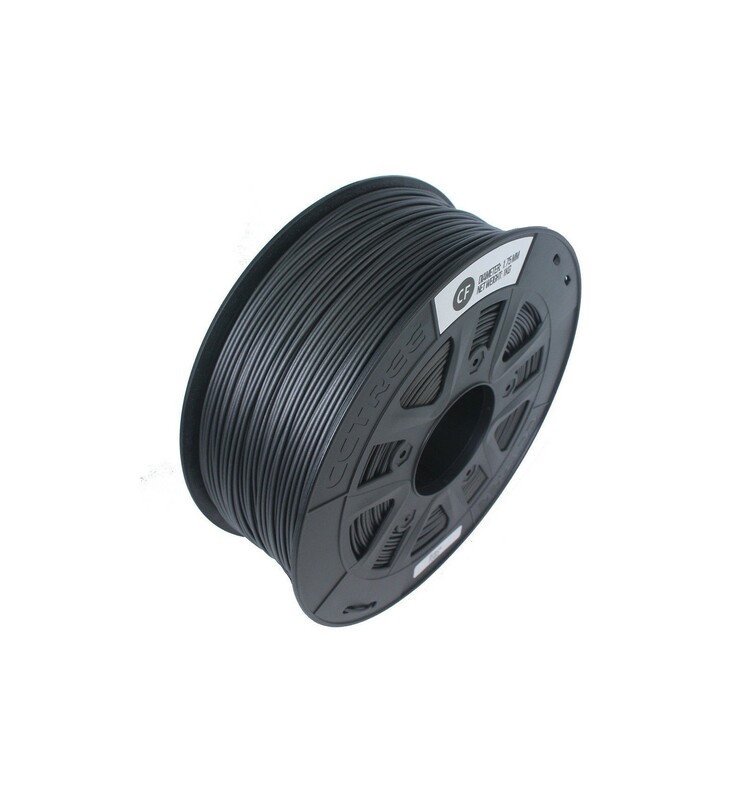 CCTREE is somewhat of a newcomer compared to brands like eSUN and Wanhao, but have certainly made big waves with their cost-effective PLA, ABS and Exotic 3D Printer Filaments. 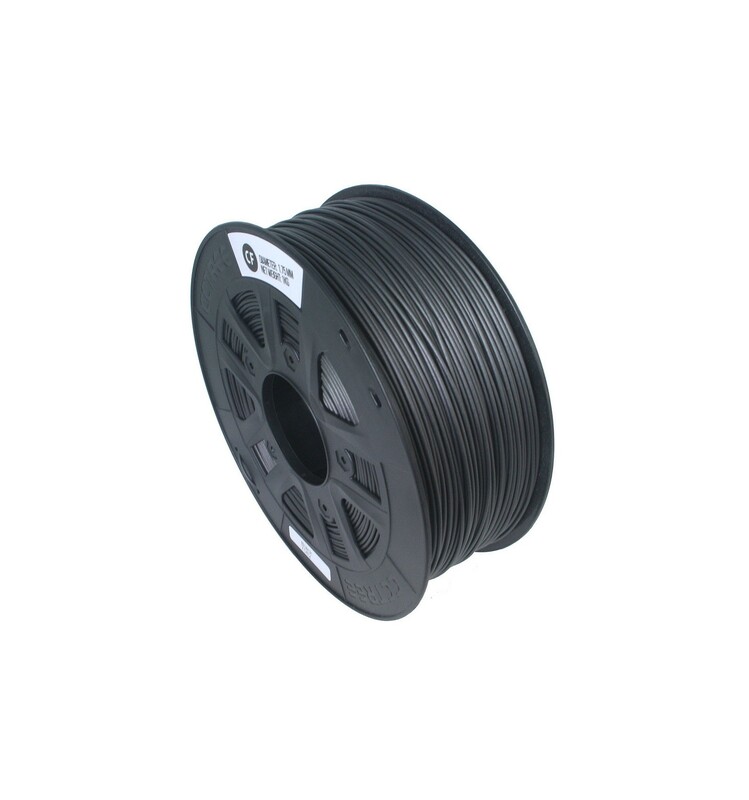 They are a subsidiary of Shenzhen Prime Technology Company, and have chosen to partner with us as their South African suppliers, affording us the opportunity to supply South Africa with quality 3D filament at an even lower price than they offer on their official website.